Troy M. Anderson, B.A., PES, CPT, IACPFT, is the owner of Integrated Evolution, LLC, in Tempe, Ariz. The top goal of Integrated Evolution is to provide individuals with solutions to their performance enhancement needs. For more golf fitness tips, visit integratedevolution.org. 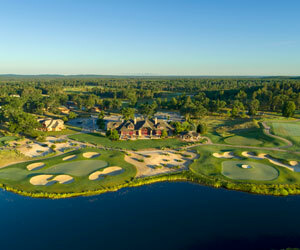 Play your choice/combination of our three nationally recognized courses – Forest Dunes, The Loop Red and The Loop Black.